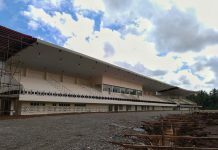 MALAYBALAY CITY (MindaNews / 10 Oct) – The barangay captains of two villages here hit by flash floods last weekend are calling on Lapanday Diversified Products Corporation to stop operations in certain areas wherein the agricultural firm is believed to have contributed to the flooding. He said they have previously complained that the firm have violated its environmental compliance certificate (ECC) due to its alleged failure to plant sufficient trees in its buffer zone. 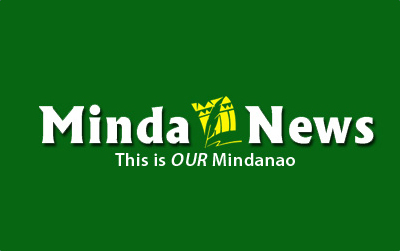 The Lapanday asked to defer official comments on the incident pending the release of the report of the Multi-Partite Monitoring Team’s (MMT) inspection in the area led by the City Environment and Natural Resources Office, said Robert Aquino, an officer of Lapanday in Malaybalay. Ma. Anita Fernandez, City ENRO chief, told MindaNews she will release the MMT’s report in a formal gathering of stakeholders next week. She cited that their report includes their observations in a series of inspections, including those in May 2013 and the one they did this week. Jamora admitted that they cannot totally blame the firm but stressed that the latter is a “major contributor” to the floods. The areas hit by flood in the barangay are admittedly the lowest in Aglayan, he said. He added that such areas are usually flooded with clear water before. But Jamora lamented that the water that flooded the barangay on October 5 brought mud with it. He blamed Lapanday’s land preparations in upland areas, adding that its canals serve as “fast lane” for water to flow to the flat areas during heavy rains. He cited that with fewer barriers to soil erosion, the barangay’s canals are now silted, contributing to the flash floods. Jamora clarified that they are not asking the firm to totally stop operations. “They have to take responsibility to negotiate with other stakeholders how they will address the problem,” he said. The barangay government, he said, had previously negotiated with Lapanday for excavation of silted canals. Lapanday obliged and sent equipment and workers, he added. But Lapanday’s action, according to Jamora, was not satisfactory. “We felt our residents were not safe enough the way they did it,” he said. Jamora pointed out, too, that they are not against plantations. “Even if they fill our lands with it, we don’t mind. As long as it does not hurt the people, it should not put the people in danger,” he added. Jamora said one of his reflections of the incidence is the need to balance between the cost and benefits of ushering in investors. He said sometimes one can see only the benefits: job opportunities, income to residents and the barangay government, among others. LPDC paid about P7, 000 for their business permit in the village, he added. But on the other hand, other families who previously worked as farm workers in the sugarcane fields that were converted into pineapple plantations also lost their jobs. The cost is high on the barangay government, too. As of Saturday alone, they spent P15,000 already for relief goods, aside from the help coming from the local government and cause-oriented groups. He also cited the cost of the barangay to maintain the flooded roads. Immediately after the flood Jamora sought for an audience with Lapanday and other stakeholders. But he said Mayor Ignacio W. Zubiri asked him to defer it as he sent engineers to study what is wrong and see how it can be solved. “I will listen to the people’s voice on the outcome of the study,” he added. Cabangahan barangay captain Edwin Rara agreed with Jamora. He said stopping operations in flood-prone areas will be good while Lapanday is unable to address the problems brought by their operations. He cited that the narrow canals in the village put them to risk every time Cabangahan creek overflows. He said he will open it up with the barangay council to pass a resolution urging Lapanday to cease operations in flood-prone areas until this problem is addressed. Barangay councilman Victor Ravidas said they are seeking solution to the problem of flooding with the narrow canals and also possible relocation of the residents. Barangay officials said Cabangahan is flood-prone but they said it was manageable before the pineapple plantations came. Most of the 470 families affected last Saturday were from Cabangahan. About 264 of the 600 households of the village were affected. Rara reported a total of 30 houses totally destroyed and 50 others partially destroyed, including that of banana plantation worker Mark Anthony Campuga, 38. Campuga arrived in his house mid-afternoon Saturday with the water already above waist level. Using his mobile phone, he was able to capture video clips of the national highway being under water. Sensing the rising water level, he immediately guided his wife and two children to escape. They had to destroy the wooden fence at the back of the house on the way to the barangay evacuation center. But for Campuga the flood couldn’t be blamed to agriculture plantations alone. “I saw how strong [the flood] was. It was nature taking its course. There was heavy rain that afternoon and water flowed downstream,” he added. He admitted, however, that land preparations in upland areas may affect water flow. Store owner Eva Pua, 51, purok leader of Aglayan’s Purok 4B, said that if proven, Lapanday should be made accountable for what happened. The Puas are among 189 families hit by the flash floods in Aglayan. In minutes, two walls of her concrete house collapsed, and furniture and appliances were washed out. She said the strong flood waters even detached floor tiles. “We are just glad no one was hurt,” she added. Before sugarcane and corn plantations were converted, Pua said they felt safer when floods hit Aglayan. “I suggest that the areas planted to pineapple now will have to be reverted to sugarcane and corn to address soil management,” she added.